Graduation Season| Time to release the stress and show yourself on stage! As the Children’s day just went by, CityOn. Xi’an prepares another feast for kids. CityOn believes that every kid is a treasure and their capacities are waiting for discovery, and this is what CityOn is always doing. The third season of Shining Kid Star Competition is coming this week! No idea about where and how to release your kids’ talents in performance? No idea about how to take part in large-scaled competition? No worries. CityOn. Xi’an is offering all kids and parents a precious opportunity. CityOn. Xi’an teams up with Balabala are committed to providing kids a best stage to find their most attractive qualification. The registration channel now is open. Come and sign up for your kids at CityOn. Xi’an. In addition to presents, CityOn. Xi’an invites professional judge group to give comments. Let us witness the birth of shining kid star together at CityOn this week! Kiddie English invites parents and kids to take part in the activity which enlightens kids’ English learning. 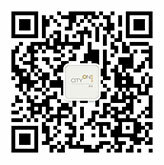 Take your kids to CityOn and enjoy a memorable time.